At the BW Businessworld Growth Leadership Conclave and Awards 2018: From SMEs to Unicorns, there was a panel discussion on “The Road to Greatness- Resilient Entrepreneurs” which was moderated by Colonel Prakash Tewari, Executive Director, CSR, DLF. “I see a lot of entrepreneurs here, who are young and middle-aged. The Wikipedia definition of entrepreneurship is the process of designing, and launching new processes. The young people here are the future Steve Jobs in the time to come. When I look at human beings, they are victims of curiosity. They are always desiring to experiment and come up with new things in life. When they are trying to bring about these new changes, it’s not always easy because of the environment and our society. Only an entrepreneur knows that after he faces the environment and society, how he uses the data to create knowledge and apply changes. Entrepreneurship also has its own set of problems and challenges which we will explore,” said Tewari. “You need to have the right type of collaboration and the right people as an entrepreneur, which is very important,” he added. Jatin Ahuja, Founder & MD, Big Boy Toyz, “We are in to cars, we are Asia’s largest supercar dealership. We deal with luxury cars. We have all these famous brands under one roof. Business is all about challenges. Every morning you have a different challenge. I started work in 2003, and 2003 onwards when you take the leadership forward there are a lot of challenges because no one else has done this business. Challenges we faced maximum is the taxation system in our country. A used car has never been looked at as an industry. Taxation was the biggest challenge when we started the business. This is why I had to shift out of Delhi and move to Haryana. Now things are much better.” “We have done negotiations in getting the key people for many years. An organization is all about the people who share a similar kind of vision, it is very challenging. When I started work in 2003, I wanted to hire a peon, and he said he would rather go to a larger company, and that’s when I had the motivation to become a bigger company so we don’t have problems hiring a peon. Business is about your risk-taking capacity,” said Ahuja. “The opportunity got created with real estate developer snot innovating. There was a trust deficit, which was a challenge. Anybody who has built an office space, they will know its very hard to deal with the contractor. Another thing which most companies did not watch out for is that the SME sector is an extremely fast-growing sector. Today the real-estate heads in most companies are the punching bags, they used to be rock stars before. We realized that SMEs will be the largest clients for us. All the inefficiencies of the real estate market are what we tried to solve. We have a large community, lots of seats, and there is a viable business created,” said Amit Ramani, Founder & CEO, Awfis. Regarding his dealing with Capex and Opex, Ramani added, “We understood the real estate sector really well. The focus was on making money at the centre level. It is a capital-intensive business, so we partnered with the landlords. There has been a strong focus on de-risking the business and creating value for our partners and stakeholders.” “We hired from parallel industries. If you are transparent, show the people the vision, the area to experiment, to fail, and move forward, that’s how you can attract people,” said Ramani. Rohit Manglik, CEO, EduGorilla, said, “I started back in 2015, I had one of the best jobs in the country, I was into investment banking. One day I had to visit my school for a guest lecture. I realized that the students get the same privilege as we get. My juniors did not have the exposure to get in touch with anyone they wanted. After I analysed the whole education ecosystem, I figured out there are multiple players in this area, but none are fulfilling the need. The approach is not holistic or transparent for the students. We started collecting data, using artificial intelligence and machine learning. Our name has gorilla in it since the gorilla because we needed to be a large entity in this sector.” “Hiring the right sort of people is always a challenge for any organization. The key employees at my company were hired in the most unforeseen ways. Some of the interns in my organization who worked with us at a very early stage, I have never let them go. People stay for the culture, not just the money. They stay for the motivation, the growth. Money was never the motivation for any of the people I have hired. If your fundamentals are correct, you are in the right direction,” said Manglik. Shared workspaces as a growing alternative to traditional offices, makes engagement of its community members a much greater and exciting challenge. Unlike regular offices where the common thread is one culture, the shared workspaces have multiple companies and cultures that coexist. Without a common thread binding these varied organizations with size ranging from one to hundreds of employees, design plays a key role in aligning the future workplace to cater to the requirements of a diverse set of audience and ensuring engagement and enhanced productivity. The design of workspaces play a pivotal role in influencing interaction amongst co-workers. Design is a visual form of communication that through subtle cues creates opportunities for engagement, influences people’s behaviour and by aesthetic appealmake the users attracted to the space, to spend additional time. A good workplace design has a strong influence on how employees think and behave. If the office space is unable to support the workstyle of users, the success and business outcomes of the organisation can become an uphill battle. Global giants like Google, Yahoo and Facebook have redefined their office spaces with plush, vibrant and thoughtfully designed interiors, as a way of keeping employees engaged. 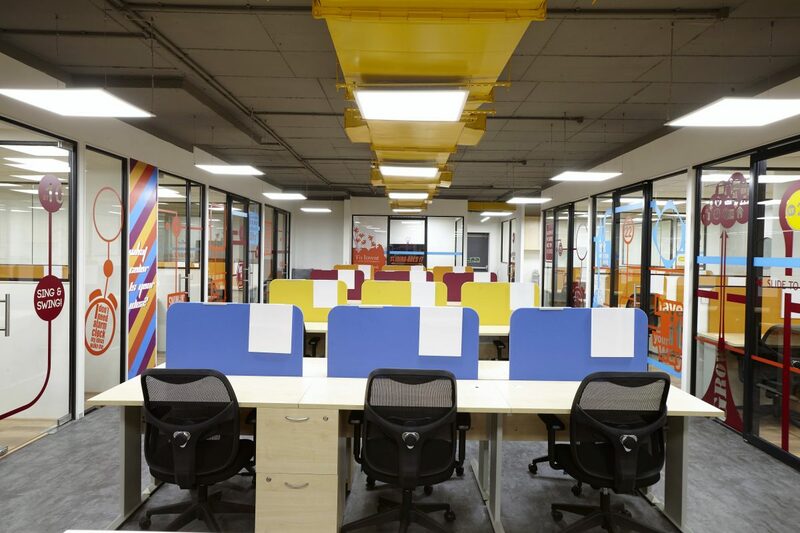 As an example, Flipkart’s Bangalore office has a refreshing ambience and every corner is designed on different themes like literature, sport, science etc. All these things translate to say that a good workplace design has a strong influence on how employees think and behave. A good design solution balances colour, space and ergonomics to set the right platform for the success of the users of the space. Color is a powerful tool when it comes to integrating mood in your design. New methods of working are driven by adding more color choices within the workplace. The moods we associate with different colors are influenced by certain concepts and emotions. Red, commonly associated with blood and fire, symbolises warmth and energy. It grabs the eye and in design it projects boldness and strength. Yellow on the other hand communicates happiness and freshness. The color spreads positivity in a working environment and creates a fun-friendly atmosphere. Green is the color of nature and in the philosophy of designing a workplace, it indicates a sustainable and healthy environment. Aqua blue is one of the most adaptable colors. It represents peacefulness, trustworthiness and stability. Shades like white, beige and light yellow are incorporated in design to provide a minimal aesthetic look; while darker shades like black, dark green, purple etc. are modern and adaptable to new age workforce. Colors and patterns should be chosen carefully to create a workplace that is energising, productive and relaxing on your mind. A workspace that focuses on maximizing the number of people in a given square feet of space, ends up looking cluttered, where the users resist being in the space, leading to limited scope for engagement. A chaotic space that is not focused on creating various activity zones with proper way-finding confuses people and makes them disoriented. A well-designed office space that provides the appropriate size for various functions, choice of areas to support different workstyles of its users and integrates functionality with aesthetics, creates an environment where users want to belong and engage with co-workers. In a well-designed workspace, employees areintuitively encouraged to spend more time in a welcoming environment that encourages collaboration and higher productivity. The changing workstyles of the modern workforce need adoption by design professionals to provide floor playouts that cater to varying gender, demographics and generations that co-exist, by providing the choice of settings in a single workspace. Creation of customizable spaces that are best suited for people to work in collaboration or individual zones,provides the users a choice based on their workstyle. The purpose of design is to encourage collaboration amongst employees, emotionally bond with space for additional time spent and, ultimately create workplaces that embed creative cues for an inspiring and innovative environment to boost morale and enhance productivity. The new generation workforce that forms a large part of the modern base for companies is focused on choice leading to different ways of working and workspaces that continue to support their workstyles. The demands are focused on increased level of engagement, homely spaces that are comfortable and informal,creating seamless transition between work and life and an ultimate choice of spaces that adapt to their needs. Workspaces of the future will be adaptable, accessible and flexible by integrating multipurpose furniture systems, wearable devices, individual controlled lighting and air conditioning systems that will adapt to individual needs in real-time, positively influencing the health, wellbeing and productivity of employees. The assimilation of digital elements like augmented and virtual reality will allow all surfaces to act as screen and input devices removing the separation of material and technology, leading to integrated surfaces reducing the footprint. Iris scan, face recognition and integrated fingerprint scanners will enhance the experience of the workspace users with spaces adapting to individuals needs on the go. While technology will have a huge role in the workspace, the humanization and wellness at the core of the workspaces will be a key element to deliver superior environments that will enable employees to be healthy and productive. The success of organisations is driven by happy and productive employees that can engage in behaviours, that enable collective positive outcomes. Human interaction, emerging technology, work patterns, optimized and healthy spaces may not be all that would be needed to design the future workspace, but with these items topping the design list, these would be imperative for organisations to succeed in the near future. Getting ahead and developing a well-designed workspace as a core part of the strategy for the business is a given that organisations need to implement to succeed in the future. There has been a shift towards creating beautiful, well-designed and functional spaces that encourage collaboration and create a sense of community. 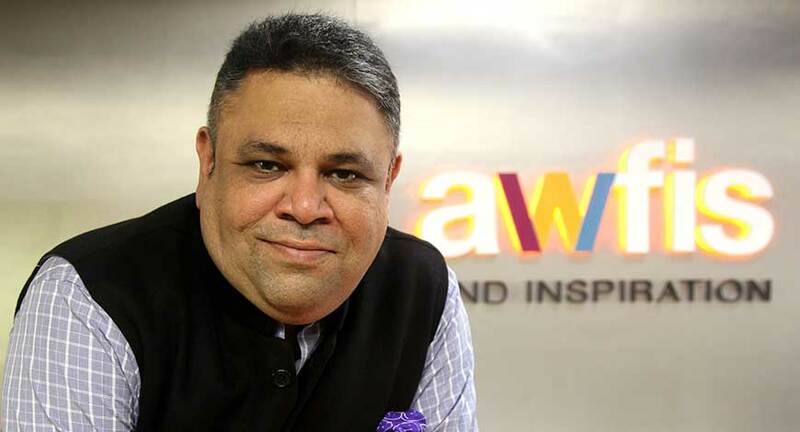 And so Amit Ramani, Founder & CEO of Awfis has endeavoured to create a network of collaborative co-working spaces, launched new and innovative products and further enhanced the existing technology platform in the past one year. With a recent funding of $20 million from Sequoia India, the scale of the business of AWFIS is expected to increase to 20,000 seats by March 2018 from its current 12,000 operational. “The funding has enabled us to step-up our presence across the major cities – Chennai which will be operational in January 2018, Chandigarh, Kochi, among others,” says Ramani who apart from his own proprietary centres, also has a unique, asset light ‘managed aggregation’ model-partnering with space owners. “There is uberisation of real estate and hence we are hopeful to grow in tier 2 cities as well. While 85% of these spaces are in Tier 1 cities like Mumbai, Delhi and Bengaluru, the remaining 15% are based in Tier 2 cities. It is about enabling a good working experience for the present generation professionals by taking care of all the important aspects to serve a customer – Engagement, Enablement and Experience,” feels Ramani. With expansion plans to start spaces in Chandigarh, Ahmedabad, Jaipur, Bhubaneshwar, Kochi and Indore in the next six months, Ramani feels that there is growth beyond the metros today. “Many planned smart cities fall under tier 2 and tier 3 locations with better availability of resources, connectivity, so business momentum is bound to grow for the industry,” he says. Today about 50% of the AWFIS’ business comes from SMEs, 35% from startups and 15% from corporate. “While the SMEs are moving to Grade A spaces to tap bigger opportunities, we offer to create Indian solution for SMEs, startups as well as corporates by offering about 300 seats in one location to make it a community culture setup,” says Ramani. So what does Ramani look upto in 2018? “There will be a paradigm shift in the way companies will operate in the future, and some of the best innovations will be an outcome of such true community collaboration. In an overcrowded space of 300 co-working spaces in the country, there is bound to have consolidation and a shift towards the new way of working. Productive and unconventional way of working will be an alternate as people will start demanding value added services within the spaces,” he concludes.